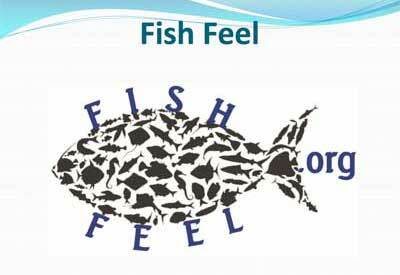 This page is devoted to you who know fish to be sentient beings deserving of respect, appreciation, and the right to live free from gratuitous human harm. If you’d like to share the story of how you came to this realization, or that you’ve always intuitively known it, please send it to: Info@FishFeel.org. Walt Rave was a pioneering animal rights activist who passed away while trying to rescue his beloved cats from a house fire. Read: What Fox Guy Had to Teach Us. Shy by nature, Walt abandoned his comfort zone to advocate for animals in the most assertive, emphatic, and creative ways his artistic mind could imagine. Click here for photos. This page is in memory of Walt. His message to animal rights activists would be: Be Bold. I used to fly fish. I thought it was ok because I used only barbless hooks and never killed a fish. I always released them. But after learning the truth about fish I gave the practice up years ago. Wish I had done so sooner. "I remember being little and my family took me to Red Lobster for dinner. When I saw the lobsters in the tank, I asked why they were there. When someone told me, I threw a fit and started sobbing uncontrollably because I couldn't understand why someone would want to eat a lobster. Even at that age, I understood. It isn't complicated. All living things feel pain and can suffer." i was five when i witnessed fish gasping for breath and screaming with their eyes. in a bucket on my grandfathers boat. i pushed that bucket off the boat. i was smacked violently. it was worth it. it was 1971. One time I was walking along the marina in Westport, WA and I watched 2 young men catch a salmon and proceed to punch [him or her] in the face several times very hard. I left and actually got ill from watching such disgusting violence to a beautiful creature.  I will never forget it as long as I live. I would feed a puffer fish that lived under my parent's dock. He was very much like a pet and would give me kisses and swim around with me. I believe that fish have feelings. I use to like fishing until i got older. One time i caught one and the hook was straight through its eye. I cried. I never fish anymore and i never will again. Just because you're a human and a fish is "just a fish" doesn't make [them] any less valuable. If ever there was any doubt that fish feel pain, yesterday I took my 6 year old goldfish to the vet for the first time for an internal infection that wasn't responding to medicated baths. I have to give her antibiotic injections and she definitely felt and responded when the needle pricked her. "I was so young but I instinctively knew fishing was wrong. My family teased me about it as families are want to do. But those feelings never left me. It's the same for a lot of kids." 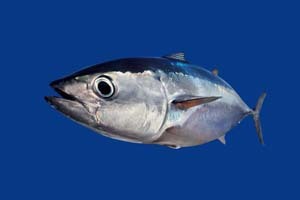 (the very funny and popular French actor) I gave up fishing the day I realized that when caught the fish did not wriggle with joy. Many years ago, I was fishing, and as I was reeling in the poor fish, I realised, "I am killing him — all for the passing pleasure it brings me." Something inside me clicked. I realised, as I watched him fight for breath, that his life was as important to him as mine is to me. I stopped eating fish too after I realised that fishes are also just like us. I saw some small fishes being protected by its mother and I felt sorry for them.